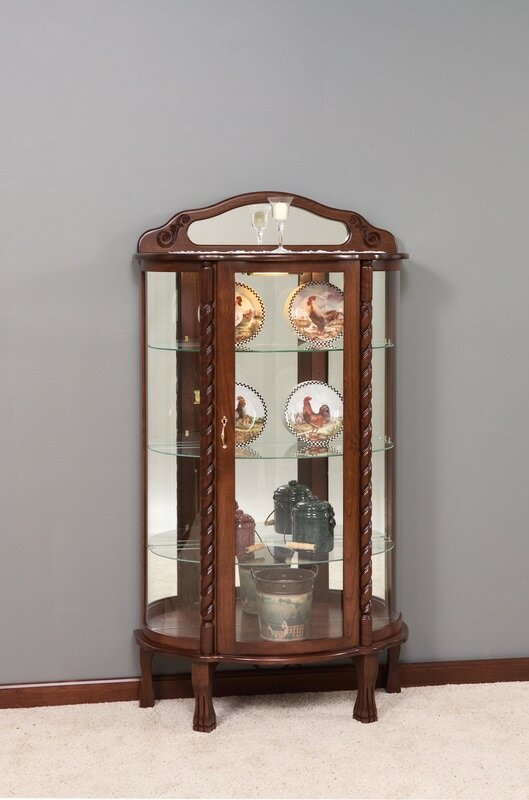 HERE ARE JUST A FEW EXAMPLES OF OUR WIDE SELECTION. 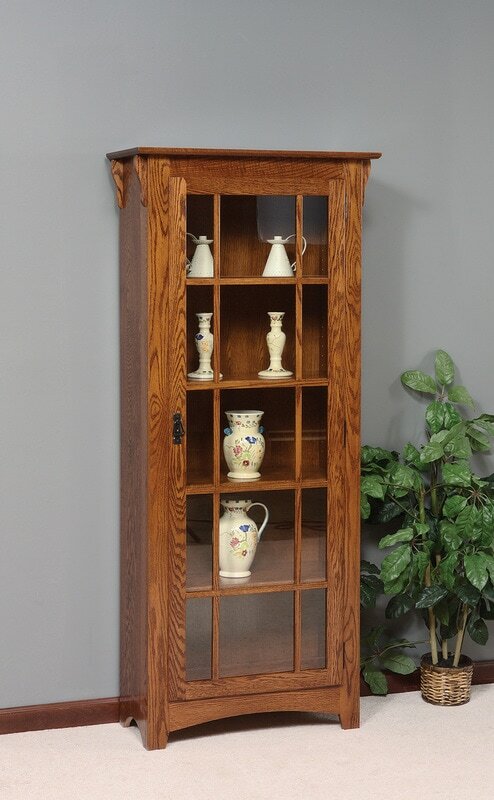 THEY ARE ALL BUILT WITH NORTHEAST HARD WOODS, THE FINEST BUILDING MATERIAL FOR FURNITURE. 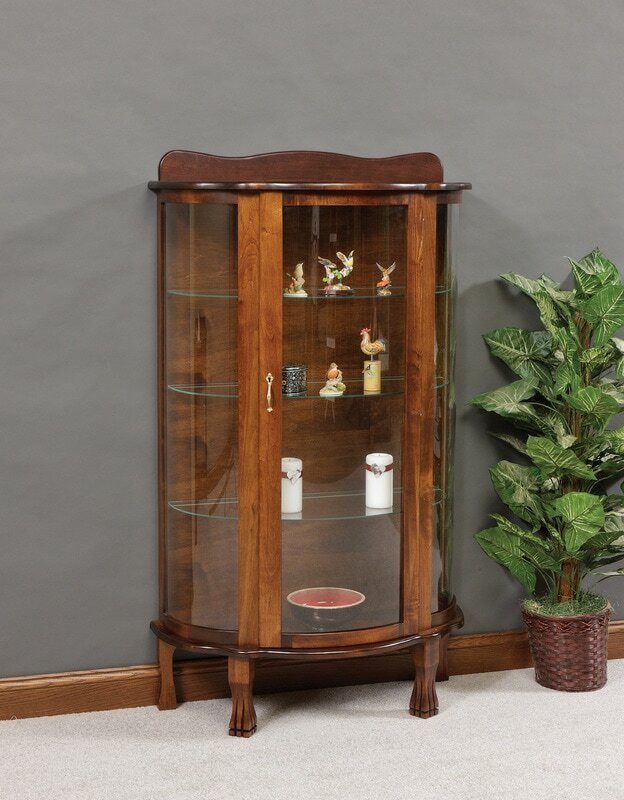 THERE ARE 9 DIFFERENT WOODS AND 17 DIFFERENT STAINS TO CHOOSE FROM. COME IN AND SEE OUR STOCK OR SEE WHAT IS AVAILABLE TO BE CUSTOM BUILT FOR YOU. 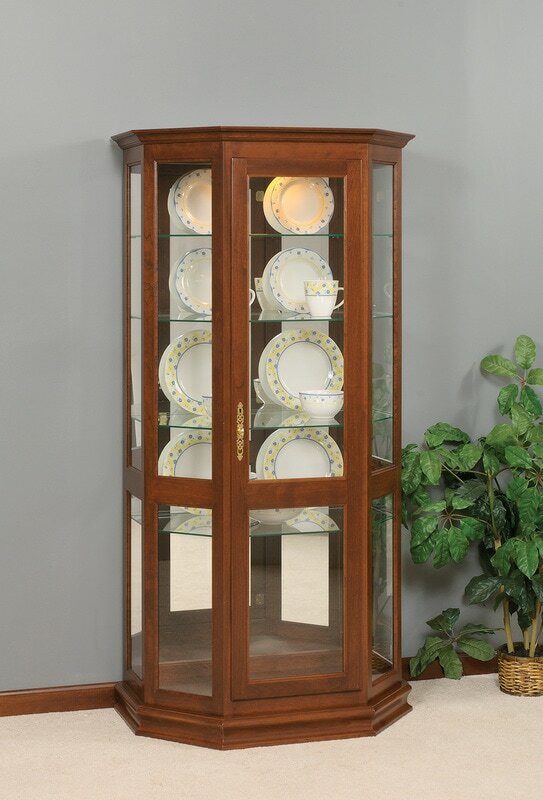 THESE ARE HEIRLOOM PIECES THAT WILL BE IN YOUR FAMILY FOR GENERATIONS TO COME. 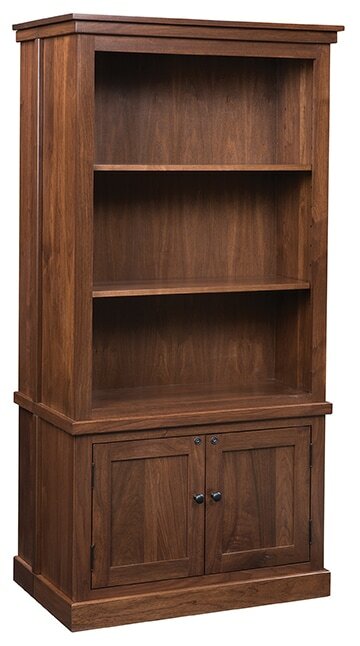 IT'S AMISH BUILT, AMERICAN MADE! 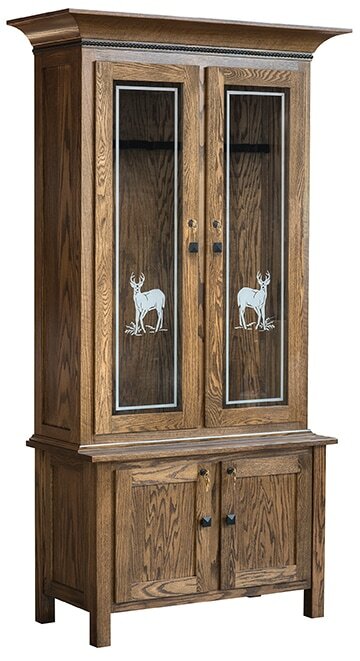 All of our Curios and many of our Gun Cabinets come standard with touch lighting. Also, you choose your favorite wood and Stain. 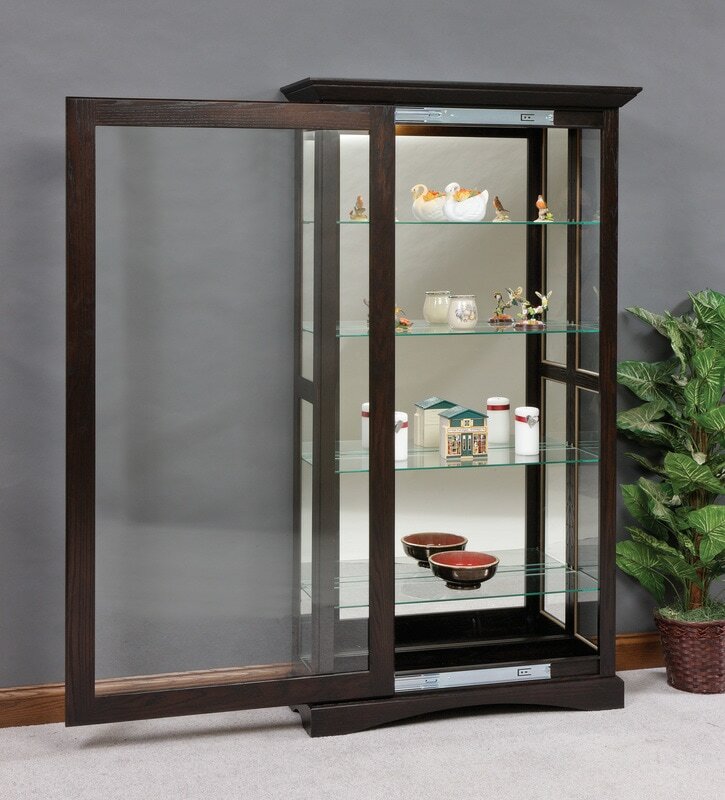 #GO 2040 Angled Double Door 53" w x 21" D x 72" H with touch lighting, like all of our furniture is available in choice of multi woods and stains. 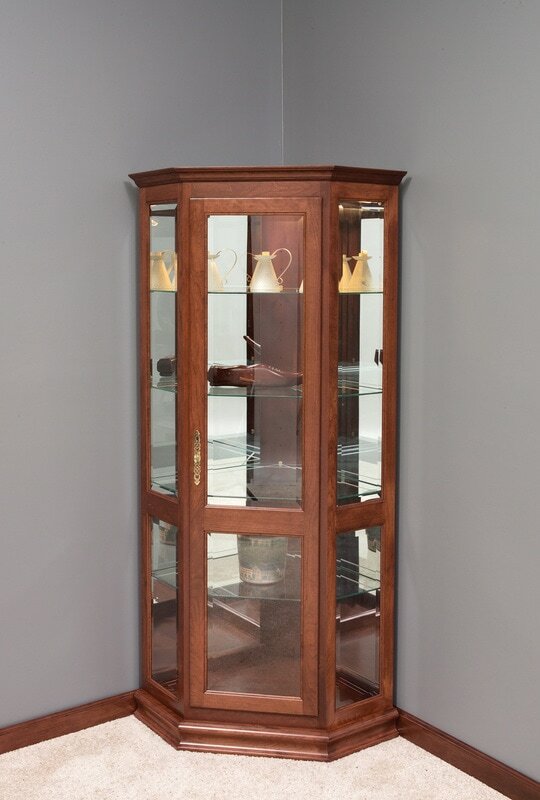 #GO-2061 Small Mission Double Door w/ Mullions ( pane grills) in sides. 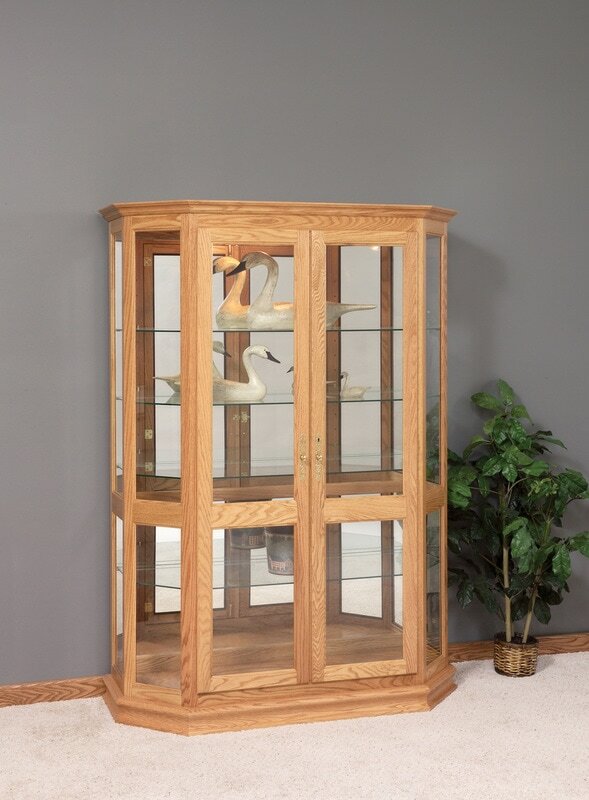 39.5 x 14"D x 48"H Touch lighting is standard in all curios with glass shelves. 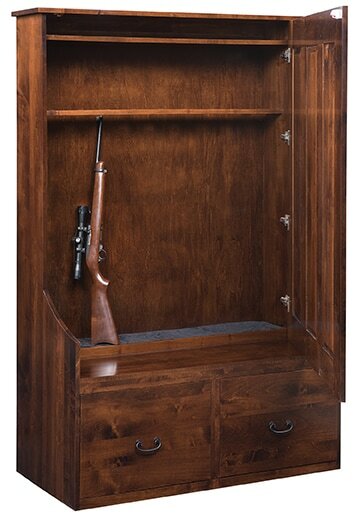 Gun Cabinets are a gorgeous piece of furniture in your home or office. 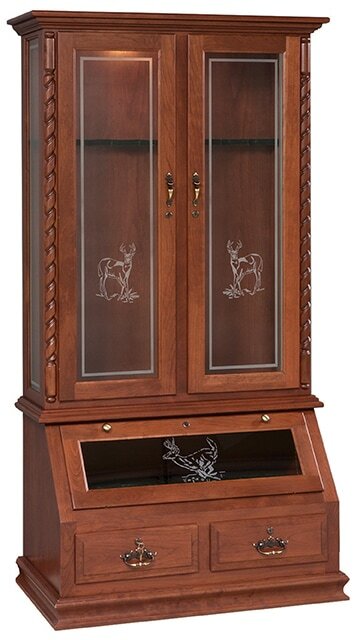 #5002 Corner Gun Cabinet with very unique turn style display, touch lighting and lock sets. 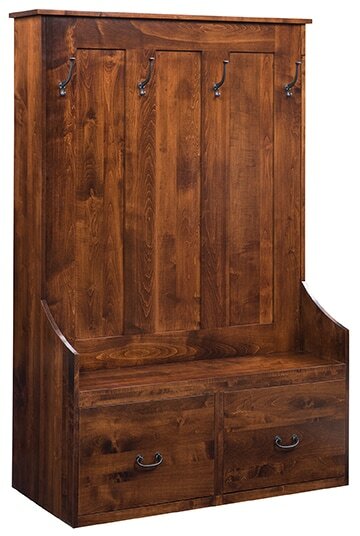 #5013 Sedona 9 Gun Cabinet serves you as a hall seat and hidden gun cabinet. 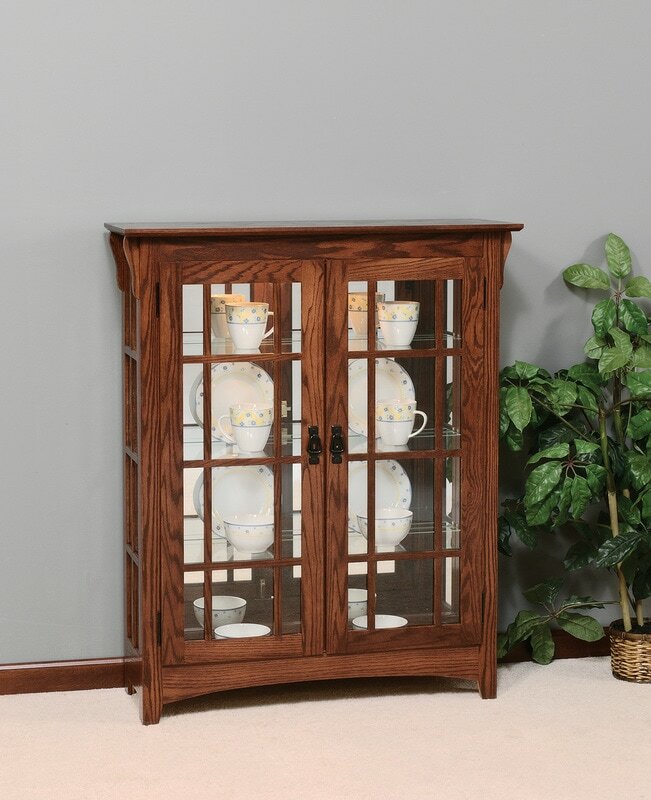 These Cabinets can be built in 9 different woods and a choice of 40 stains. Hidden drawers, lock sets, touch lighting are some of the options. 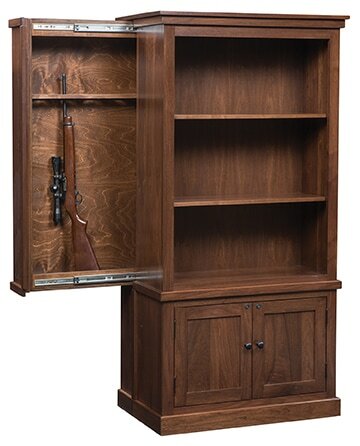 We have many more Gun Cabinets and Curious available and we can custom build it for you too. Come in and see us. If you don't see it on our show room floor, lets build it for you.